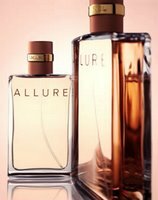 Serge Lutens Fumerie Turque - This, I'm positive, is one for the ages, so I'm listing it first. Among the veritable pageant of Lutens creations that cross my dressing table, Fumerie Turque stands head and shoulders above the rest. Released in 2003, this unbelievably smooth, subtle blend of tobacco, rose attar, honey, dates, beeswax and woodsmoke seduced me at first whiff. Through the kindness of friends, I've acquired samples and decants; a full bottle will be my first purchase when I make it to Paris. Hermes Eau des Merveilles - "Water of Wonders" - what an apt name, and the spangled bottle proclaims the sparkling juice! Launched in France in 2004, Merveilles finally made its way to the US this year. Long rumored to have one of the last remaining supplies of natural ambergris in the world, Hermes certainly put it to good use in this scent. Allied with bitter orange, ambergris lends a salty-fresh feel. I am reminded of meandering along the seashore, picking up bits of driftwood and shell, while the white foam blows against my bare legs, depositing its glinting burden of salt and silica. And yet, excellent beach scent though it is, Merveilles is grounded in oak-y wood notes, so it's cozy enough for cold weather. I am dying to try the recently released Parfum des Merveilles. Comme des Garcons White - How this slipped under my radar, I'll never know. I was vaguely aware of its existence (launched in 1997! ), and I guess I can attribute my lack of curiosity to the line's poor staying power - on my skin, anyway. Swapped for un-sniffed, I expected it would be just as soon swapped away again. Wrong. There is something quite compelling about this scent - completely unsweet, unfloral, by contrast it reveals deep femininity. I have yet to find a satisfactory list of notes - "lily of the valley, vanilla and amber"? - "cedarwood, may rose, LOTV and pomegranate"? I suppose LOTV must be in there, but it's not obvious. No one lists spices - cinnamon, cardamom? - but that's what I smell the most in White. A mystery I will enjoy exploring more fully! Bellodgia - An oldie but goodie I rediscovered in 2005. N., (Life in Paris blog), a dear friend and purveyor of many fine lemmings, sent me a surprise package with extrait samples from the Caron boutique. While Tabac Blond and Narcisse Noir certainly caught my attention, it was Bellodgia (1927) that won my heart. Creamy, dense carnation over Ernest Daltroff's distinctive oakmoss base - a scent for Mary Magdalene, both introverted and sensual. i Profumi di Firenze Mirra - Another splendid gift from afar...I initially raved about Mirra parfum in my 'Scents of Summer' list of favs (August), and it's still in my top ten of the year. Chanel Allure - Also on the 'Scents of Summer' list. Can't believe this one escaped me for a decade. I only tried the EDT when it was first released in 1996...and it was *so* not me! 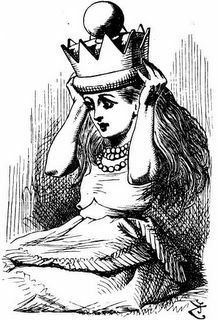 This year I discovered the parfum...and, as those who've read the adventures of Princess Swapsalot will recall, the EDP. A perfect blend of rose de mai, vetiver and vanilla. Got a hankering for the body cream next...mmmm! Takashimaya "T" - A sample from another lemming-monger, Annieytown (Blogdorf Goodman), this is the truest, best tea scent I've smelled. Somewhere between the lovely weirdness of L'Artisan Tea for Two and the demureness of Bvlgari Eau Parfumée Au Thé Vert. Crisp, lemony, smoky, calming. At the top of my "Pursue in 2006" list. And how about some non-scent items? 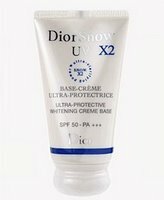 Christian Dior DiorSnow x2 - I've tried the Whitening Lotion (toner) and Pure UV base, which is suitable as a moisturizer in summer. While not usually big on the ridiculous, pseudo-scientific claims of high-end skincare lines, I'm buying this one. My skin is clearer, more radiant, less ruddy, and just all-around well-behaved. Available at pretty good discount from various e-tailers. Worth the $$$. Prada Shielding Lip Balm - When I first received one in a swap, I ranted about the stupid 'monodose' packaging - how wasteful! There's no denying, however, that this is one wonderful product. It moisturizes, plumps and subtly tints lips - comes in 6 your-lips-but-better shades (I prefer #6, a soft light red). Recently available at TJMaxx (you're too late, I've bought up all the #6's), I'm informed that Prada will be releasing the same forumlation in different (hopefully bigger) packaging. The monodose concept is supposed to keep the product from being contaminated, but it's really a misnomer - I get at least 10 uses from one of the teensy 1.5 ml tubes. And since you squeeze it out onto your finger, rather than apply directly to lips, there's not so much contamination anyway. Let's hope they don't mess around with the formula while they're repackaging. Lush Olive Branch shower gel - My first introduction to Lush products, in a gift set from my daughter. Not high-lathering, but extremely comforting and moisturizing, and the scent is divinely earthy. I like how there's a 'packed on' date and an expiration date, and the human touch of a little photo-print of the person who blended your bottle. I look forward to trying more from this line. Wishing everyone a beautiful, scent-filled, healthy and prosperous New Year! Happy new year! Great, great list. Fumerie Turque! YES! Great list. You and Victoria are making me need to try Eau des Merveilles again. Have a happy new year! My lemming for CdG White has just reached gigantic proportions. I may just buy it unsniffed at this point. I haven't heard of iPdF Mirra, that sounds wonderful. You have just triggered lemmings Dior Snow and CDG White. I have never tried either. I am so glad that you loved TAK T. That is the EDT and the EDP version is even better! There is more lemon in the EDP. Alas I adore Fumerie Turque. One day I will visit France and I will enter the store and ask for it...in passable french. My new years resolution is to learn to speak french. If anyone has any recs to excellent language tapes let me know! Have a great New Year D! I hope you visit Akron soon! D, you've snagged me with the CdG White too. Must find some, now! Great List! I discovered I love Bellodgia parfum AFTER I left the Caron NYC boutique. Oh and I missed the sale too. But it's on my list. May you have a beautifully Scented New Year! i love love LOVE that Hermes bottle. it's such a pity the juice doesn't do well on my skin. chemistry is a pain. 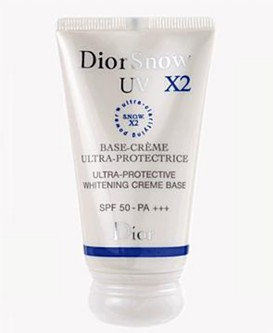 you have a fantastic list and i'm definitely tempted to try the Dior Snow. have a fantastic New Year and may there be endless good scents in the coming months! 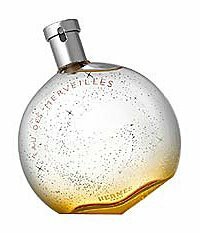 Your list is wonderful, and I am happy to see Eau des Merveilles, which is a gorgeous, fascinating fragrance. I cannot believe that I almost dismissed it the first time I tried it as too light. It is perfect. I also love the body products, such as the sparkling oil. Parfum des Merveilles is another love of mine. It is darker and more of a chypre, and it is mesmerizing. happy new Year ! Just as I've always suspected, we're scent opposites! All the best in 2006 D.
And for my scent opposites - yaay, someone to swap with! Ooooooh... you've inspired some new lemmings here! Oooh, I need to try the Mirra. I don't recall seeing it at all near the little boutique near me that sells the iPdFs, so I'll have to seek out a sample of it. I still haven't tried the I Coloniali Mirra either, so I think I'll need to go on a Mirra-Mirra binge soon. is that perfume allergy for some women, is anything but nice.